INTERIOR DESIGN. This my friends, is Scandinavian minimalism at its best. 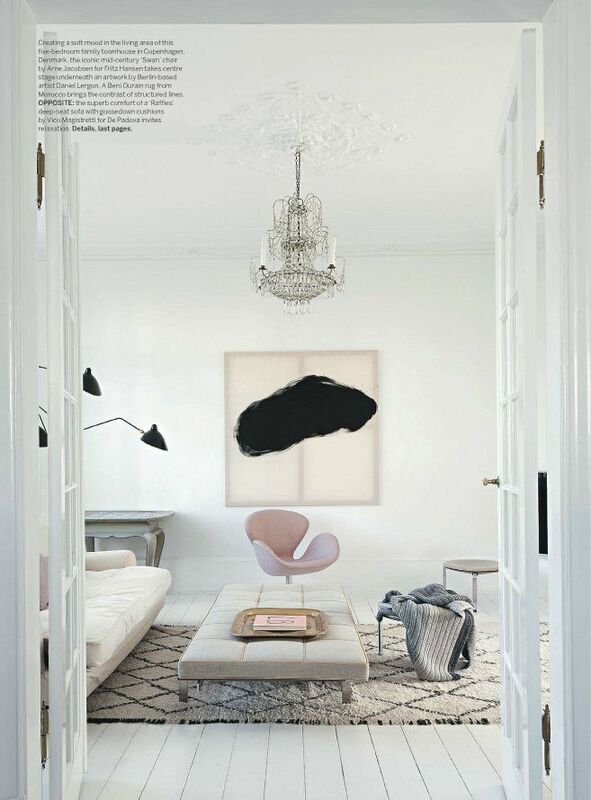 Love the contrast between the pastel pink Swan chair and the inky black art + lamp!